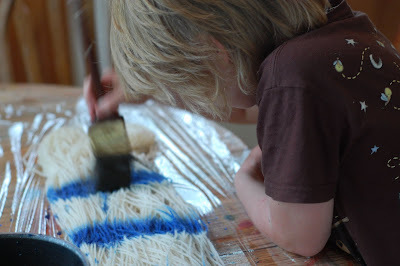 The methodical rhythm of the paint brush has become a much loved tradition for the kids and me on yarn dyeing day. 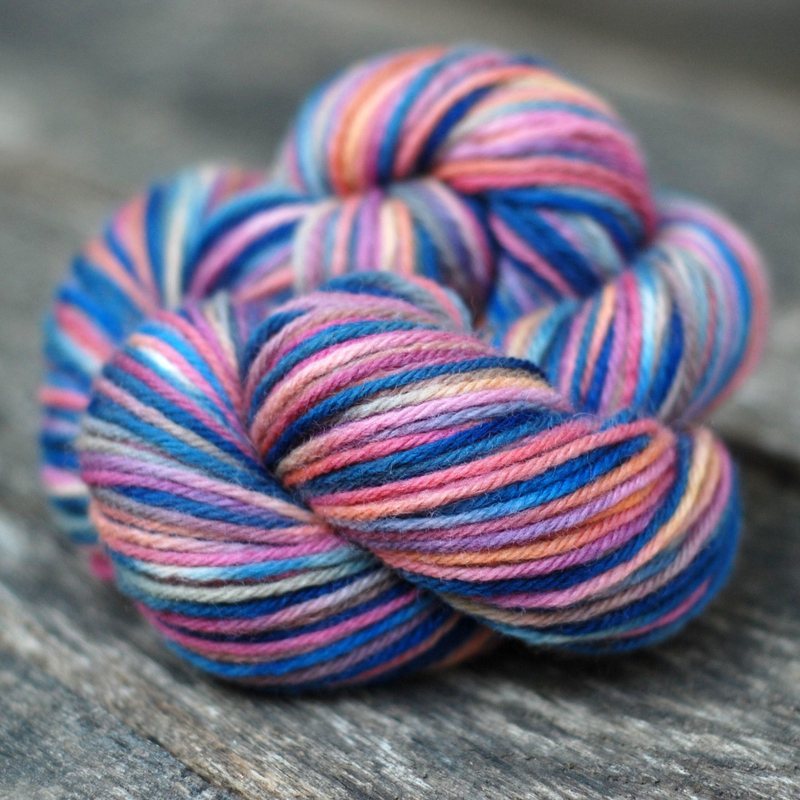 Two extra skeins for each dye session are ordered and set aside. The children excitedly and knowingly ask if I set aside a skein for them. Each child chooses their own color palate and the dyes are mixed in easy to access pans. I stand back in amazement at how each boy manipulates the color, completely uninhibited. Watching their body go in waves of tension and relaxation... oh how I wonder where their mind is off to while creating art. Sometimes I hear soft whispers, "I wonder what will happen if..."
After all the yarn has been painted, steamed, cooled, washed and dried the boys admire their work. Sometimes they name each piece. And sometimes they decide they'd like to sell it in my shop; as Luke has done this time. 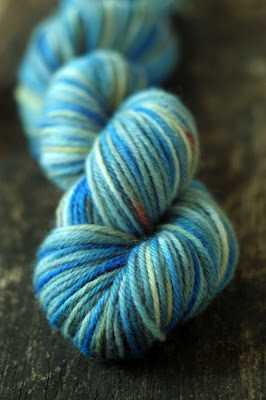 Have you ever done any dyeing with your children? I always love trying new things with the boys!